BNI Heartland is highlighting chapters that are aligning themselves with the Heartland's vision. 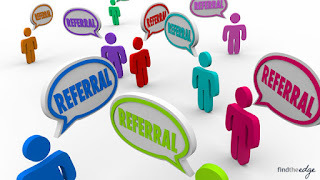 This month’s category is Referrals. Our vision is giving one per week for every member. The BNI Heartland Multiply Your Profits - Chapter - Omaha, NE, during the last 6 months (26 weeks), had an amazing average of 30.45 referrals (more than 1 per week) per member! Enthusiasm. Our whole chapter seems to take on the role of “visitor host” and our visitors truly feel welcomed. When thinking of your chapter’s referrals, how do you define the member value? Each seat is worth $1200 of referral business per month. We emphasize using the dry erase board every week to show how much money is being transacted in the chapter. That would be defined by each individual member. When the leadership team does our goal setting, we ask each member to establish their own personal goals and use those numbers to compile the chapter goals. Growing their business and establishing relationships with new professional partners are the two primary reasons. We have done comparisons of the amount of business we referred over the last three years. Since we have grown the number of members, the amount of referrals has almost tripled compared to what it was three years ago.